Your walls will look stunning when lined with the EZ-Pro 5 Topping Wall Mount Dispenser. Offering a wider selection of product to the customer is always a wise choice. This wall mounted display is easy to clean and a space saver. 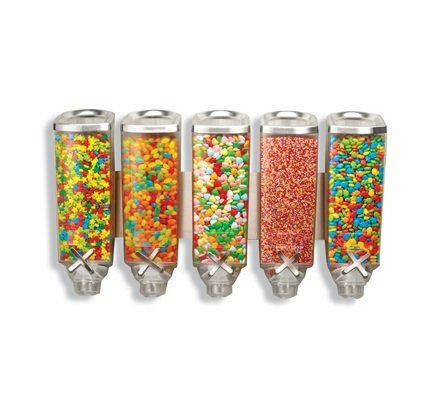 Stainless steel containers are sure to catch attention when filled with brightly colored candies. 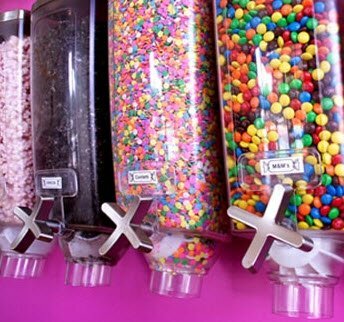 This is the ultimate dispenser to add to the buffet line or to your candy shop. Portion control helps cut down on waste while serving up your products beautifully. 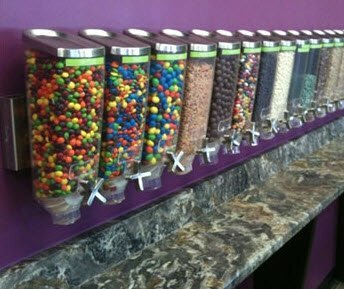 Ordering your 5 topping dispenser is simple. 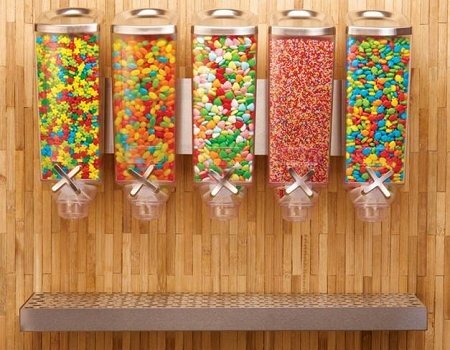 Just add to your cart at All Candy Containers and start lining up these dispensers on your wall.